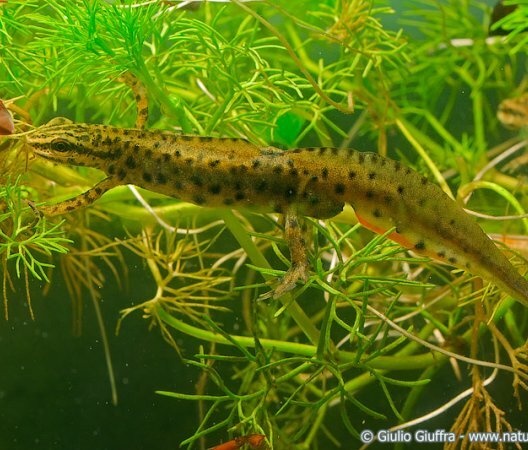 Newts have a long and slender body, with a long, vertically flattened tail. 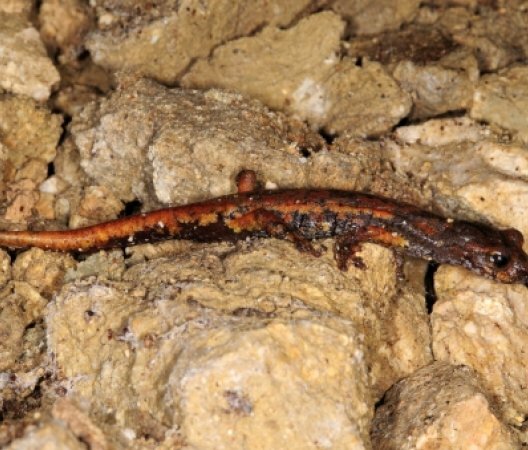 Salamanders have a lizard-like appearance, and a prehensile tongue which they use to obtain prey. 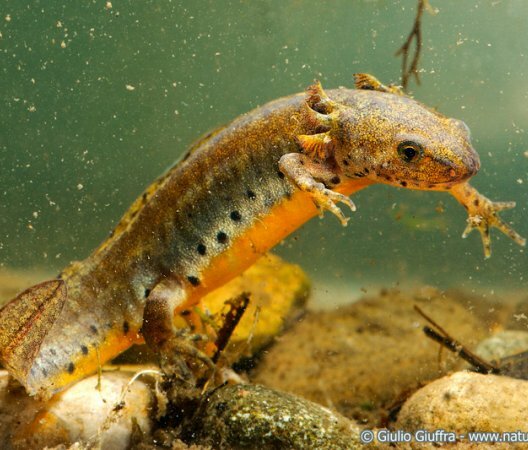 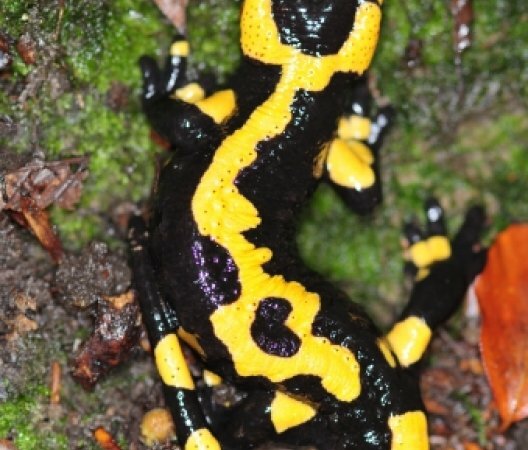 Salamander and newts, unique among vertebrates, have the capacity of regenerating whole lost limbs, as well as other damaged parts of their bodies. 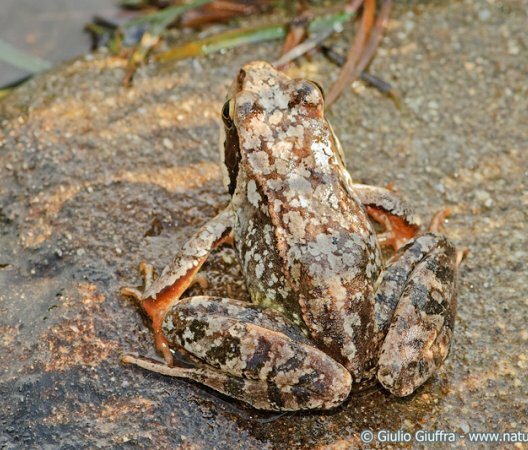 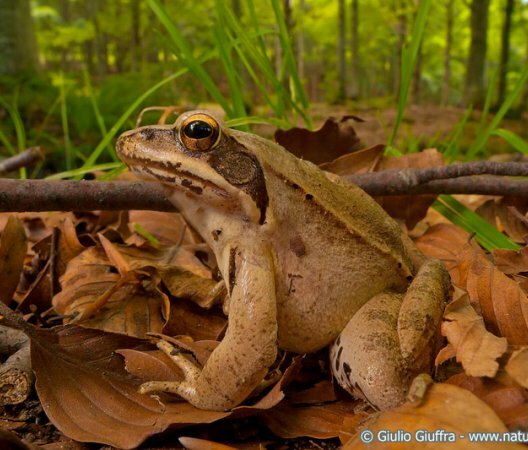 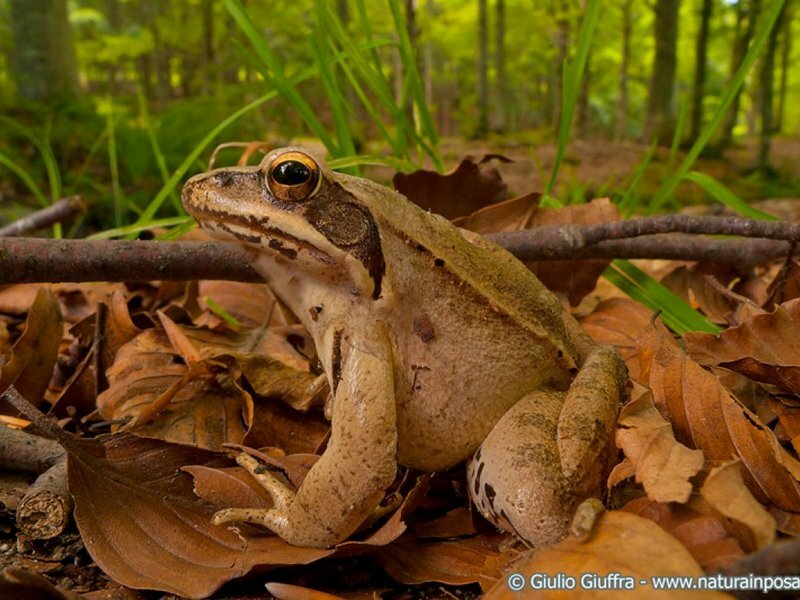 The Italian stream frog is also known as "ground frog" as they commonly hibernate underneath tree roots.